Thank you very much. It is great. It looks good. And I also change the cipher suite, I can see the MySQL protocol packet over ssl; however, the login packet data cannot be displayed. Do you know the reason why I cannot see login packet data. The login packet is not encrypted, the encryption starts after the login packet. The problem is that the login packet cannot be displayed eventhough we do not use SSL decode. It likes "application data", which likes the other data has been encrypted. How did you capture the packet? Which wireshark version are you using? 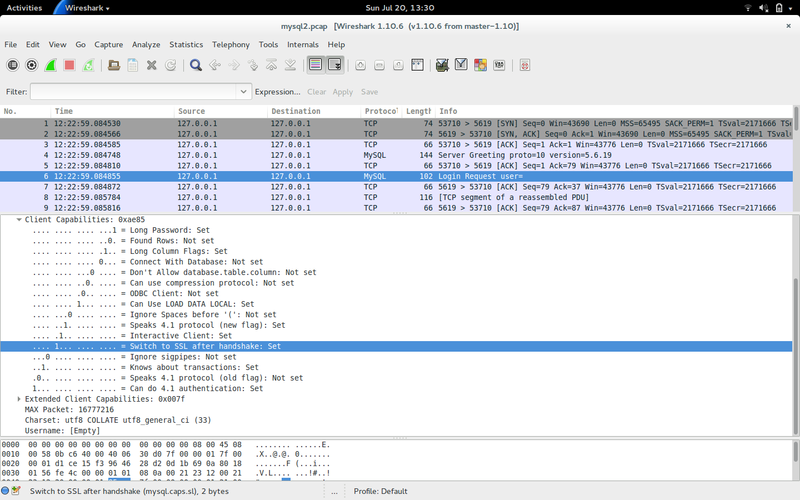 Hi, my wireshark's version is 1.10.8, I am sure I did not use -s 65535 to capture the full packet. 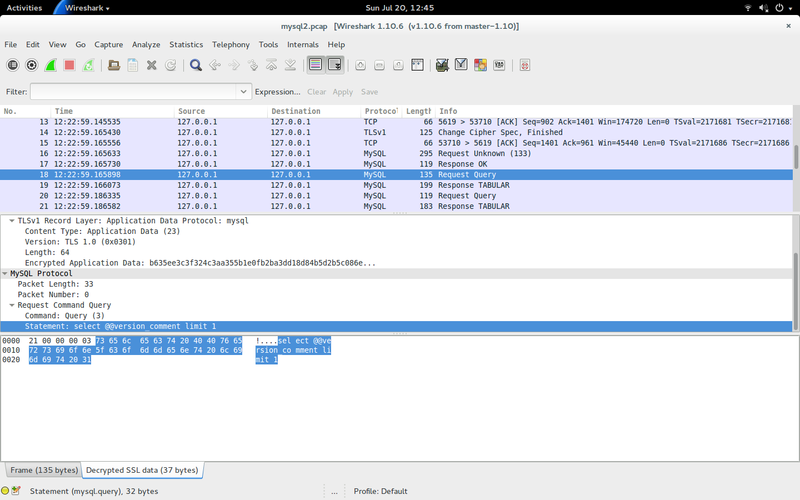 BTW, how can we give you my pcap packet? by email? or the other ways? You can send me the pcap by mail (dveeden AT myname.nl) or share it on some cloud storage service like Box.com, Dropbox or Google Drive. I am sorry, your email address like this: dveeden@myname.nl? it it correct?